Rosetta was a space probe built by the European Space Agency launched on 2 March 2004. Along with Philae, its lander module, Rosetta performed a detailed study of comet 67P/Churyumov–Gerasimenko (67P). During its journey to the comet, the spacecraft flew by Mars and the asteroids 21 Lutetia and 2867 Šteins. It was launched as the third cornerstone mission of the ESA's Horizon 2000 programme, after SOHO / Cluster and XMM-Newton. On 6 August 2014, the spacecraft reached the comet and performed a series of manoeuvres to eventually orbit the comet at distances of 30 to 10 kilometres (19 to 6 mi). On 12 November, its lander module Philae performed the first successful landing on a comet, though its battery power ran out two days later. Communications with Philae were briefly restored in June and July 2015, but due to diminishing solar power, Rosetta's communications module with the lander was turned off on 27 July 2016. On 30 September 2016, the Rosetta spacecraft ended its mission by hard-landing on the comet in its Ma'at region. The probe was named after the Rosetta Stone, a stele of Egyptian origin featuring a decree in three scripts. The lander was named after the Philae obelisk, which bears a bilingual Greek and Egyptian hieroglyphic inscription. Rosetta was launched on 2 March 2004 from the Guiana Space Centre in French Guiana on an Ariane 5 rocket and reached Comet Churyumov–Gerasimenko on 7 May 2014. It performed a series of maneuvers to enter orbit between then and 6 August 2014, when it became the first spacecraft to orbit a comet. (Previous missions had conducted successful flybys of seven other comets.) It was one of ESA's Horizon 2000 cornerstone missions. The spacecraft consisted of the Rosetta orbiter, which featured 12 instruments, and the Philae lander, with nine additional instruments. The Rosetta mission orbited Comet Churyumov–Gerasimenko for 17 months and was designed to complete the most detailed study of a comet ever attempted. The spacecraft was controlled from the European Space Operations Centre (ESOC), in Darmstadt, Germany. The planning for the operation of the scientific payload, together with the data retrieval, calibration, archiving and distribution, was performed from the European Space Astronomy Centre (ESAC), in Villanueva de la Cañada, near Madrid, Spain. It has been estimated that in the decade preceding 2014, some 2,000 people assisted in the mission in some capacity. In 2007, Rosetta made a Mars gravity assist (flyby) on its way to Comet Churyumov–Gerasimenko. The spacecraft also performed two asteroid flybys. The craft completed its flyby of asteroid 2867 Šteins in September 2008 and of 21 Lutetia in July 2010. Later, on 20 January 2014, Rosetta was taken out of a 31-month hibernation mode as it approached Comet Churyumov–Gerasimenko. Rosetta's Philae lander successfully made the first soft landing on a comet nucleus when it touched down on Comet Churyumov–Gerasimenko on 12 November 2014. On 5 September 2016, ESA announced that the lander was discovered by the narrow-angle camera aboard Rosetta as the orbiter made a low, 2.7 km (1.7 mi) pass over the comet. The lander sits on its side wedged into a dark crevice of the comet, explaining the lack of electrical power to establish proper communication with the orbiter. During the 1986 approach of Halley's Comet, international space probes were sent to explore the comet, most prominent among them being ESA's Giotto. After the probes returned valuable scientific information, it became obvious that follow-ons were needed that would shed more light on cometary composition and answer new questions. Both ESA and NASA started cooperatively developing new probes. The NASA project was the Comet Rendezvous Asteroid Flyby (CRAF) mission. The ESA project was the follow-on Comet Nucleus Sample Return (CNSR) mission. Both missions were to share the Mariner Mark II spacecraft design, thus minimising costs. In 1992, after NASA cancelled CRAF due to budgetary limitations, ESA decided to develop a CRAF-style project on its own. By 1993 it was evident that the ambitious sample return mission was infeasible with the existing ESA budget, so the mission was redesigned and subsequently approved by the ESA, with the final flight plan resembling the cancelled CRAF mission: an asteroid flyby followed by a comet rendezvous with in-situ examination, including a lander. After the spacecraft launch, Gerhard Schwehm was named mission manager; he retired in March 2014. The Rosetta mission included generational team management; this allowed mission continuity over the long period of the mission and for special knowledge to be maintained and passed on to future team members. In particular, several younger scientists were brought on as principal science investigators, and regular training sessions were conducted. The probe was named after the Rosetta Stone, a stele of Egyptian origin featuring a decree in three scripts. The lander was named after the Philae obelisk, which bears a bilingual Greek and Egyptian hieroglyphic inscription. A comparison of its hieroglyphs with those on the Rosetta Stone catalysed the deciphering of the Egyptian writing system. Similarly, it was hoped that these spacecraft would result in better understanding of comets and the early Solar System. In a more direct analogy to its namesake, the Rosetta spacecraft also carried a micro-etched pure nickel prototype of the Rosetta disc donated by the Long Now Foundation. The disc was inscribed with 6,500 pages of language translations. The Rosetta mission achieved many historic firsts. On its way to comet 67P, Rosetta passed through the main asteroid belt, and made the first European close encounter with several of these primitive objects. Rosetta was the first spacecraft to fly close to Jupiter's orbit using solar cells as its main power source. Rosetta was the first spacecraft to orbit a comet nucleus, and was the first spacecraft to fly alongside a comet as it headed towards the inner Solar System. It became the first spacecraft to examine at close proximity the activity of a frozen comet as it is warmed by the Sun. Shortly after its arrival at 67P, the Rosetta orbiter dispatched the Philae lander for the first controlled touchdown on a comet nucleus. The robotic lander's instruments obtained the first images from a comet's surface and made the first in situ analysis of its composition. The Rosetta bus was a 2.8 × 2.1 × 2.0 m (9.2 × 6.9 × 6.6 ft) central frame and aluminium honeycomb platform. Its total mass was approximately 3,000 kg (6,600 lb), which included the 100 kg (220 lb) Philae lander and 165 kg (364 lb) of science instruments. The Payload Support Module was mounted on top of the spacecraft and housed the scientific instruments, while the Bus Support Module was on the bottom and contained spacecraft support subsystems. Heaters placed around the spacecraft kept its systems warm while it was distant from the Sun. Rosetta's communications suite included a 2.2 m (7.2 ft) steerable high-gain parabolic dish antenna, a 0.8 m (2.6 ft) fixed-position medium-gain antenna, and two omnidirectional low-gain antennas. Electrical power for the spacecraft came from two solar arrays totalling 64 square metres (690 sq ft). Each solar array was subdivided into five solar panels, with each panel being 2.25 × 2.736 m (7.38 × 8.98 ft). The individual solar cells were made of silicon, 200 μm thick, and 61.95 × 37.75 mm (2.44 × 1.49 in). The solar arrays generated a maximum of approximately 1,500 watts at perihelion, a minimum of 400 watts in hibernation mode at 5.2 AU, and 850 watts when comet operations begin at 3.4 AU. Spacecraft power was controlled by a redundant Terma power module also used in the Mars Express spacecraft, and was stored in four 10-A·h NiCd batteries supplying 28 volts to the bus. Main propulsion comprised 24 paired bipropellant 10 N thrusters, with four pairs of thrusters being used for delta-v burns. The spacecraft carried 1,719.1 kg (3,790 lb) of propellant at launch: 659.6 kg (1,454 lb) of monomethylhydrazine fuel and 1,059.5 kg (2,336 lb) of dinitrogen tetroxide oxidiser, contained in two 1,108-litre (244 imp gal; 293 US gal) grade 5 titanium alloy tanks and providing delta-v of at least 2,300 metres per second (7,500 ft/s) over the course of the mission. Propellant pressurisation was provided by two 68-litre (15 imp gal; 18 US gal) high-pressure helium tanks. 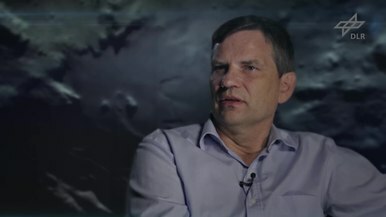 Rosetta was built in a clean room according to COSPAR rules, but "sterilisation [was] generally not crucial since comets are usually regarded as objects where you can find prebiotic molecules, that is, molecules that are precursors of life, but not living microorganisms", according to Gerhard Schwehm, Rosetta's project scientist. The total cost of the mission was about €1.3 billion (US$1.8 billion). Rosetta was set to be launched on 12 January 2003 to rendezvous with the comet 46P/Wirtanen in 2011. This plan was abandoned after the failure of an Ariane 5 carrier rocket during Hot Bird 7's launch on 11 December 2002, grounding it until the cause of the failure could be determined. In May 2003, a new plan was formed to target the comet 67P/Churyumov–Gerasimenko, with a revised launch date of 26 February 2004 and comet rendezvous in 2014. The larger mass and the resulting increased impact velocity made modification of the landing gear necessary. After two scrubbed launch attempts, Rosetta was launched on 2 March 2004 at 07:17 UTC from the Guiana Space Centre in French Guiana. Aside from the changes made to launch time and target, the mission profile remained almost identical. Both co-discoverers of the comet, Klim Churyumov and Svetlana Gerasimenko, were present at the spaceport during the launch. To achieve the required velocity to rendezvous with 67P, Rosetta used gravity assist manoeuvres to accelerate throughout the inner Solar System. The comet's orbit was known before Rosetta's launch, from ground-based measurements, to an accuracy of approximately 100 km (62 mi). Information gathered by the onboard cameras beginning at a distance of 24 million kilometres (15,000,000 mi) were processed at ESA's Operation Centre to refine the position of the comet in its orbit to a few kilometres. The first Earth flyby was on 4 March 2005. On 25 February 2007, the craft was scheduled for a low-altitude flyby of Mars, to correct the trajectory. This was not without risk, as the estimated altitude of the flyby was a mere 250 kilometres (160 mi). During that encounter, the solar panels could not be used since the craft was in the planet's shadow, where it would not receive any solar light for 15 minutes, causing a dangerous shortage of power. The craft was therefore put into standby mode, with no possibility to communicate, flying on batteries that were originally not designed for this task. This Mars manoeuvre was therefore nicknamed "The Billion Euro Gamble". The flyby was successful, with Rosetta even returning detailed images of the surface and atmosphere of the planet, and the mission continued as planned. The second Earth flyby was on 13 November 2007 at a distance of 5,700 km (3,500 mi). In observations made on 7 and 8 November, Rosetta was briefly mistaken for a near-Earth asteroid about 20 m (66 ft) in diameter by an astronomer of the Catalina Sky Survey and was given the provisional designation 2007 VN84. Calculations showed that it would pass very close to Earth, which led to speculation that it could impact Earth. However, astronomer Denis Denisenko recognised that the trajectory matched that of Rosetta, which the Minor Planet Center confirmed in an editorial release on 9 November. The spacecraft performed a close flyby of asteroid 2867 Šteins on 5 September 2008. Its onboard cameras were used to fine-tune the trajectory, achieving a minimum separation of less than 800 km (500 mi). Onboard instruments measured the asteroid from 4 August to 10 September. Maximum relative speed between the two objects during the flyby was 8.6 km/s (19,000 mph; 31,000 km/h). Rosetta's third and final flyby of Earth happened on 12 November 2009. On 10 July 2010, Rosetta flew by 21 Lutetia, a large main-belt asteroid, at a minimum distance of 7003316800000000000♠3,168±7.5 km (7003196900000000000♠1,969±4.7 mi) at a velocity of 15 kilometres per second (9.3 mi/s). The flyby provided images of up to 60 metres (200 ft) per pixel resolution and covered about 50% of the surface, mostly in the northern hemisphere. The 462 images were obtained in 21 narrow- and broad-band filters extending from 0.24 to 1 μm. Lutetia was also observed by the visible–near-infrared imaging spectrometer VIRTIS, and measurements of the magnetic field and plasma environment were taken as well. After leaving its hibernation mode in January 2014 and getting closer to the comet Rosetta began a series of eight burns in May 2014. These reduced the relative velocity between the spacecraft and 67P from 775 m/s (2,540 ft/s) to 7.9 m/s (26 ft/s). In 2006, Rosetta suffered a leak in its reaction control system (RCS). The system, which consists of 24 bipropellant 10-newton thrusters, was responsible for fine tuning the trajectory of Rosetta throughout its journey. The RCS operated at a lower pressure than designed due to the leak. While this may have caused the propellants to mix incompletely and burn 'dirtier' and less efficiently, ESA engineers were confident that the spacecraft would have sufficient fuel reserves to allow for the successful completion of the mission. Prior to Rosetta's deep space hibernation period, two of the spacecraft's four reaction wheels began exhibiting increased levels of "bearing friction noise". Increased friction levels in Reaction Wheel Assembly (RWA) B were noted after its September 2008 encounter with asteroid Šteins. Two attempts were made to relubricate the RWA using an on-board oil reservoir, but in each case noise levels were only temporarily lowered, and the RWA was turned off in mid-2010 after the flyby of asteroid Lutetia to avoid possible failure. Shortly after this, RWA C also began showing evidence of elevated friction. Relubrication was also performed on this RWA, but methods were found to temporarily increase its operating temperature to better improve the transfer of oil from its reservoir. In addition, the reaction wheel's speed range was decreased to limit lifetime accumulated rotations. These changes resulted in RWA C's performance stabilising. During the spacecraft's Deep Space Hibernation flight phase, engineers performed ground testing on a flight spare RWA at the European Space Operations Centre. After Rosetta exited hibernation in January 2014, lessons learned from the ground testing were applied to all four RWAs, such as increasing their operating temperatures and limiting their wheel speeds to below 1000 rpm. After these fixes, the RWAs showed nearly identical performance data. Three RWAs were kept operational, while one of the malfunctioning RWAs was held in reserve. Additionally, new on-board software was developed to allow Rosetta to operate with only two active RWAs if necessary. These changes allowed the four RWAs to operate throughout Rosetta's mission at 67P/Churyumov–Gerasimenko despite occasional anomalies in their friction plots and a heavy workload imposed by numerous orbital changes. The surface layout of 67P was unknown before Rosetta's arrival. The orbiter mapped the comet in anticipation of detaching its lander. By 25 August 2014, five potential landing sites had been determined. On 15 September 2014, ESA announced Site J, named Agilkia in honour of Agilkia Island by an ESA public contest and located on the "head" of the comet, as the lander's destination. Philae detached from Rosetta on 12 November 2014 at 08:35 UTC, and approached 67P at a relative speed of about 1 m/s (3.6 km/h; 2.2 mph). It initially landed on 67P at 15:33 UTC, but bounced twice, coming to rest at 17:33 UTC. Confirmation of contact with 67P reached Earth at 16:03 UTC. After bouncing, Philae settled in the shadow of a cliff, canted at an angle of around 30 degrees. This made it unable to adequately collect solar power, and it lost contact with Rosetta when its batteries ran out after two days, well before much of the planned science objectives could be attempted. Contact was briefly and intermittently reestablished several months later at various times between 13 June and 9 July, before contact was lost once again. There was no communication afterwards, and the transmitter to communicate with Philae was switched off in July 2016 to reduce power consumption of the probe. The precise location of the lander was discovered in September 2016 when Rosetta came closer to the comet and took high-resolution pictures of its surface. Knowing its exact location provides information needed to put Philae's two days of science into proper context. Researchers expect the study of data gathered will continue for decades to come. One of the first discoveries was that the magnetic field of 67P oscillated at 40–50 millihertz. A German composer and sound designer created an artistic rendition from the measured data to make it audible. Although it is a natural phenomenon, it has been described as a "song" and has been compared to Continuum for harpsichord by György Ligeti. However, results from Philae's landing show that the comet's nucleus has no magnetic field, and that the field originally detected by Rosetta is likely caused by the solar wind. The isotopic signature of water vapour from comet 67P, as determined by the Rosetta spacecraft, is substantially different from that found on Earth. That is, the ratio of deuterium to hydrogen in the water from the comet was determined to be three times that found for terrestrial water. This makes it very unlikely that water found on Earth came from comets such as comet 67P, according to the scientists. On 22 January 2015, NASA reported that, between June and August 2014, the rate at which water vapour was released by the comet increased up to tenfold. On 2 June 2015, NASA reported that the Alice spectrograph on Rosetta determined that electrons within 1 km (0.6 mi) above the comet nucleus — produced from photoionisation of water molecules by solar radiation, and not photons from the Sun as thought earlier — are responsible for the degradation of water and carbon dioxide molecules released from the comet nucleus into its coma. As the orbit of comet 67P took it farther from the Sun, the amount of sunlight reaching Rosetta's solar panels decreased. While it would have been possible to put Rosetta into a second hibernation phase during the comet's aphelion, there was no assurance that enough power would be available to run the spacecraft's heaters to keep it from freezing. To guarantee a maximum science return, mission managers made the decision to instead guide Rosetta down to the comet's surface and end the mission on impact, gathering photographs and instrument readings along the way. On 23 June 2015, at the same time as a mission extension was confirmed, ESA announced that end of mission would occur at the end of September 2016 after two years of operations at the comet. “ All stations and the briefing room, we've just had loss of signal at the expected time. This is another outstanding performance by flight dynamics. So we'll be listening for the signal from Rosetta for another 24 hours, but we don't expect any. This is the end of the Rosetta mission. Thank you, and goodbye. Rosetta began a 19 km (12 mi) descent with a 208-second thruster burn executed on 29 September 2016 at approximately 20:50 UTC. Its trajectory targeted a site in the Ma'at region near an area of dust- and gas-producing active pits. Impact on the comet's surface occurred 14.5 hours after its descent manoeuvre; the final data packet from Rosetta was transmitted at 10:39:28.895 UTC (SCET) by the OSIRIS instrument and was received at the European Space Operations Centre in Darmstadt, Germany, at 11:19:36.541 UTC. The spacecraft's estimated speed at the time of impact was 3.2 km/h (2.0 mph; 89 cm/s), and its touchdown location, named Sais by the operations team after the Rosetta Stone's original temple home, is believed to be only 40 m (130 ft) off-target. The final complete image transmitted by the spacecraft of the comet was taken by its OSIRIS instrument at an altitude of 23.3–26.2 m (76–86 ft) about 10 seconds before impact, showing an area 0.96 m (3.1 ft) across. Rosetta's computer included commands to send it into safe mode upon detecting that it had hit the comet's surface, turning off its radio transmitter and rendering it inert in accordance with International Telecommunication Union rules. On 28 September 2017, a previously unrecovered image taken by the spacecraft was reported. This image was recovered from three data packets discovered on a server after completion of the mission. While blurry due to data loss, it shows an area of the comet's surface approximately one square meter in size taken from an altitude of 17.9–21.0 m (58.7–68.9 ft), and represents Rosetta's closest image of the surface. For the instruments on Philae, see Philae (spacecraft) § Instruments. Alice (an ultraviolet imaging spectrograph). The ultraviolet spectrograph searched for and quantified the noble gas content in the comet nucleus, from which the temperature during the comet creation could be estimated. The detection was done by an array of potassium bromide and caesium iodide photocathodes. The 3.1 kg (6.8 lb) instrument used 2.9 watts, and an improved version is currently being used in the New Horizons spacecraft. It operated in the extreme and far ultraviolet spectrum, from 700–2,050 Å (70–205 nm). ALICE was built and operated by the Southwest Research Institute for NASA's Jet Propulsion Laboratory. OSIRIS (Optical, Spectroscopic, and Infrared Remote Imaging System). The camera system had a narrow-angle lens (700 mm) and a wide-angle lens (140 mm), with a 2048×2048 pixel CCD chip. The instrument was constructed in Germany. VIRTIS (Visible and Infrared Thermal Imaging Spectrometer). The Visible and IR spectrometer was able to make pictures of the nucleus in the IR and also search for IR spectra of molecules in the coma. The detection was done by a mercury cadmium telluride array for IR and with a CCD chip for the visible wavelength range. The instrument was produced in Italy, and improved versions were used for Dawn and Venus Express. MIRO (Microwave Instrument for the Rosetta Orbiter). The abundance and temperature of volatile substances like water, ammonia and carbon dioxide could be detected by MIRO via their microwave emissions. The 30 cm (12 in) radio antenna along with the rest of the 18.5 kg (41 lb) instrument was built by NASA's Jet Propulsion Laboratory with international contributions. CONSERT (Comet Nucleus Sounding Experiment by Radiowave Transmission). The CONSERT experiment provided information about the deep interior of the comet using radar. The radar performed tomography of the nucleus by measuring electromagnetic wave propagation between the Philae lander and the Rosetta orbiter through the comet nucleus. This allowed it to determine the comet's internal structure and deduce information on its composition. The electronics were developed by France and both antennas were constructed in Germany. RSI (Radio Science Investigation). RSI made use of the probe's communication system for physical investigation of the nucleus and the inner coma of the comet. ROSINA (Rosetta Orbiter Spectrometer for Ion and Neutral Analysis). The instrument consisted of a double-focus magnetic mass spectrometer (DFMS) and a reflectron type time of flight mass spectrometer (RTOF). The DFMS had a high resolution (could resolve N2 from CO) for molecules up to 300 amu. The RTOF was highly sensitive for neutral molecules and for ions. ROSINA was developed at the University of Bern in Switzerland. MIDAS (Micro-Imaging Dust Analysis System). The high-resolution atomic force microscope investigated several physical aspects of the dust particles which are deposited on a silicon plate. COSIMA (Cometary Secondary Ion Mass Analyser). COSIMA analysed the composition of dust particles by secondary ion mass spectrometry, using indium ions. It could detect ions up to a mass of 6500 amu. GIADA (Grain Impact Analyser and Dust Accumulator). GIADA analysed the dust environment of the comet coma by measuring the optical cross section, momentum, speed and mass of each grain entering inside the instrument. Previous observations have shown that comets contain complex organic compounds. These are the elements that make up nucleic acids and amino acids, essential ingredients for life as we know it. Comets are thought to have delivered a vast quantity of water to Earth, and they may have also seeded Earth with organic molecules. Rosetta and Philae also searched for organic molecules, nucleic acids (the building blocks of DNA and RNA) and amino acids (the building blocks of proteins) by sampling and analysing the comet's nucleus and coma cloud of gas and dust, helping assess the contribution comets made to the beginnings of life on Earth. Before succumbing to falling power levels, Philae's COSAC instrument was able to detect organic molecules in the comet's atmosphere. Two enantiomers of a generic amino acid. The mission will study why one chirality of some amino acids seems to be dominant in the universe. Upon landing on the comet, Philae should have also tested some hypotheses as to why essential amino acids are almost all "left-handed", which refers to how the atoms arrange in orientation in relation to the carbon core of the molecule. Most asymmetrical molecules are oriented in approximately equal numbers of left- and right-handed configurations (chirality), and the primarily left-handed structure of essential amino acids used by living organisms is unique. One hypothesis that will be tested was proposed in 1983 by William A. Bonner and Edward Rubenstein, Stanford University professors emeritus of chemistry and medicine respectively. They conjectured that when spiralling radiation is generated from a supernova, the circular polarisation of that radiation could then destroy one type of "handed" molecules. The supernova could wipe out one type of molecules while also flinging the other surviving molecules into space, where they could eventually end up on a planet. The mission has yielded a significant science return, collecting a wealth of data from the nucleus and its environment at various levels of cometary activity. The VIRTIS spectrometer on board the Rosetta spacecraft has provided evidence of nonvolatile organic macromolecular compounds everywhere on the surface of comet 67P with little to no water ice visible. Preliminary analyses strongly suggest the carbon is present as polyaromatic organic solids mixed with sulfides and iron-nickel alloys. Solid organic compounds were also found in the dust particles emitted by the comet; the carbon in this organic material is bound in "very large macromolecular compounds", analogous to those found in carbonaceous chondrite meteorites. However, no hydrated minerals were detected, suggesting no link with carbonaceous chondrites. In turn, the Philae lander's COSAC instrument detected organic molecules in the comet's atmosphere as it descended to its surface. Measurements by the COSAC and Ptolemy instruments on the Philae's lander revealed sixteen organic compounds, four of which were seen for the first time on a comet, including acetamide, acetone, methyl isocyanate and propionaldehyde. The only amino acid detected thus far on the comet is glycine, along with the precursor molecules methylamine and ethylamine. 2) gas surrounding the comet. 2 March – Rosetta was successfully launched at 07:17 UTC (04:17 local time) from Kourou, French Guiana. 4 March – Rosetta executed its first planned close swing-by (gravity assist passage) of Earth. The Moon and the Earth's magnetic field were used to test and calibrate the instruments on board of the spacecraft. The minimum altitude above the Earth's surface was 1,954.7 km (1,214.6 mi). 4 July – Imaging instruments on board observed the collision between the comet Tempel 1 and the impactor of the Deep Impact mission. 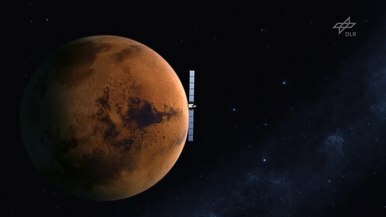 25 February – Mars flyby. 8 November – Catalina Sky Survey briefly misidentified the Rosetta spacecraft, approaching for its second Earth flyby, as a newly discovered asteroid. 13 November – Second Earth swing-by at a minimum altitude of 5,295 km (3,290 mi), travelling at 45,000 km/h (28,000 mph). 5 September – Flyby of asteroid 2867 Šteins. The spacecraft passed the main-belt asteroid at a distance of 800 km (500 mi) and the relatively slow speed of 8.6 km/s (31,000 km/h; 19,000 mph). 13 November – Third and final swing-by of Earth at 48,024 km/h (29,841 mph). 16 March – Observation of the dust tail of asteroid P/2010 A2. Together with observations by Hubble Space Telescope it could be confirmed that P/2010 A2 is not a comet, but an asteroid, and that the tail most likely consists of particles from an impact by a smaller asteroid. 10 July – Flew by and photographed the asteroid 21 Lutetia. May to July – Starting on 7 May, Rosetta began orbital correction manoeuvres to bring itself into orbit around 67P. At the time of the first deceleration burn Rosetta was approximately 2,000,000 km (1,200,000 mi) away from 67P and had a relative velocity of +775 m/s (2,540 ft/s); by the end of the last burn, which occurred on 23 July, the distance had been reduced to just over 4,000 km (2,500 mi) with a relative velocity of +7.9 m/s (18 mph). In total eight burns were used to align the trajectories of Rosetta 67P with the majority of the deceleration occurring during three burns: Delta-v's of 291 m/s (650 mph) on 21 May, 271 m/s (610 mph) on 4 June, and 91 m/s (200 mph) on 18 June. 14 July – The OSIRIS on-board imaging system returned images of comet 67P which confirmed the irregular shape of the comet. 6 August – Rosetta arrives at 67P, approaching to 100 km (62 mi) and carrying out a thruster burn that reduces its relative velocity to 1 m/s (3.3 ft/s). Commences comet mapping and characterisation to determine a stable orbit and viable landing location for Philae. 4 September – The first science data from Rosetta's Alice instrument was reported, showing that the comet is unusually dark in ultraviolet wavelengths, hydrogen and oxygen are present in the coma, and no significant areas of water-ice have been found on the comet's surface. Water-ice was expected to be found as the comet is too far from the Sun to turn water into vapour. 10 September 2014 – Rosetta enters the Global Mapping Phase, orbiting 67P at an altitude of 29 km (18 mi). 12 November 2014 – Philae lands on the surface of 67P. 10 December 2014 – Data from the ROSINA mass spectrometers show that the ratio of heavy water to normal water on comet 67P is more than three times that on Earth. The ratio is regarded as a distinctive signature, and the discovery means that Earth's water is unlikely to have originated from comets like 67P. 14 April 2015 – Scientists report that the comet's nucleus has no magnetic field of its own. 2 July 2015 – Scientists report that active pits, related to sinkhole collapses and possibly associated with outbursts, have been found on the comet. 11 August 2015 – Scientists release images of a comet outburst that occurred on 29 July 2015. 28 October 2015 – Scientists publish an article in Nature reporting high levels of molecular oxygen around 67P. November 2014 to December 2015 – Rosetta escorted the comet around the Sun and performed riskier investigations. 27 July 2016 – ESA switched off the Electrical Support System Processor Unit (ESS) aboard Rosetta, disabling any possibility of further communications with the Philae lander. 2 September 2016 - Rosetta photographs the Philae lander for the first time after its landing, finding it wedged against a large overhang. 30 September 2016 - Mission ended in an attempt to slow land on the comet's surface near a 130 m (425 ft) wide pit called Deir el-Medina. The walls of the pit contain 0.91 m (3 ft) wide so-called "goose bumps", believed to represent the building blocks of the comet. Although Philae sent back some data during its descent, Rosetta has more powerful and more varied sensors and instruments, offering the opportunity to get some very close-in science to complement the more distant remote sensing it has been doing. The orbiter descended more slowly than Philae did. Cartoon versions of Rosetta and Philae as they appear in the ESA's Once upon a time... series. As part of the European Space Agency's media campaign in support of the Rosetta mission, both the Rosetta and Philae spacecraft were given anthropomorphic personalities in an animated web series titled Once upon a time.... The series depicts various stages in the Rosetta mission, involving the personified Rosetta and Philae on "a classic road trip story into the depths of our universe", complimented with various visual gags presented in an educational context. Produced by animation studio Design & Data GmbH, the series was initially conceived by the ESA as a four-part fantasy-like series with a Sleeping Beauty theme that promoted community involvement in Rosetta's wake up from hibernation in January 2014. After the success of the series, however, the ESA commissioned the studio to continue producing new episodes in the series throughout the course of the mission. A total of twelve videos in the series were produced from 2013 to 2016, with a 25-minute compilation of the series released in December 2016, after the end of the mission. The characters featured in Once upon a time..., designed by ESA employee and cartoonist Carlo Palazzari, became a central part of public image of the Rosetta mission, appearing in promotional material for the mission such as posters and merchandise, and often credited as a major factor in the popularity of the mission among the public. ESA employees also role-played as the characters on Twitter throughout the course of the mission. The Rosetta and Philae characters were inspired by the JAXA's "kawaii" characters, whom portrayed a number of their spacecraft, such as Hayabusa2 and Akatsuki, with distinct anime-like personalities. The script for each episode of the series is written by science communicators at the European Space Research and Technology Centre, who kept close with mission operators and the producers at Design & Data. Canonically, Rosetta and Philae are depicted as siblings, with Rosetta being the older sister, inspired by the spacecraft's feminine name, of Philae, her younger brother. The Giotto spacecraft is also depicted as the duo's grandfather, whereas others in the Halley Armada as well as NASA's Deep Impact and Stardust spacecraft are depicted as their cousins. To promote the spacecraft's arrival at comet 67P/Churyumov–Gerasimenko and the landing of Philae in 2014, a short film was produced by the European Space Agency with Polish visual effects production company Platige Image. Titled Ambition, the film, shot in Iceland, stars Irish actor Aidan Gillen, known for his roles in Game of Thrones and The Wire, and Irish actress Aisling Franciosi, also of Game of Thrones fame, and was directed by Oscar-nominated Polish director Tomasz Bagiński. Set in the far future, Ambition centers around a discussion between a master, played by Gillen, discussing the importance of ambition with his apprentice, played by Franciosi, using the Rosetta mission as an example of such. Ambition was premiered at the British Film Institute's Sci-Fi: Days of Fear and Wonder film festival in London on 24 October 2014, three weeks before the landing of Philae on 67P/Churyumov–Gerasimenko. British science fiction author and former ESA employee Alastair Reynolds spoke about the film's message at the premiere, stating to the audience that "our distant descendants may look back to Rosetta with the same sense of admiration that we reserve for, say, Columbus or Magellan." The film's conception was the result of the BFI's inquiry to the ESA for a contribution to their celebration of science fiction, with the ESA taking the opportunity to promote the Rosetta mission through the festival. Critical reception of the film upon its premiere was mostly positive. Tim Reyes of Universe Today complimented the titular theme of ambition in the film, stating that it "shows us the forces at work in and around ESA", and that the it "might accomplish more in 7 minutes than Gravity did in 90." Ryan Wallace of The Science Times also gave praise to the film, writing, "whether you're a sci-fi fanatic, or simply an interested humble astronomer, the short clip will undoubtedly give you a new view of our solar system, and the research out there in space today." The entire mission was featured heavily in social media, with a Facebook account for the mission and both the satellite and the lander having an official Twitter account portraying a personification of both spacecraft. The hashtag "#CometLanding" gained widespread traction. A Livestream of the control centres was set up, as were multiple official and unofficial events around the world to follow Philae's landing on 67P. On 23 September 2016, Vangelis released the studio album Rosetta in honour of the mission, which was used on 30 September in the "Rosetta's final hour" streaming video of the ESA Livestream event "Rosetta Grand Finale". ^ "Rosetta at a glance — technical data and timeline". German Aerospace Center. Archived from the original on 8 January 2014. Retrieved 8 January 2014. ^ a b "No. 1 - Rosetta in Good Health". Status Reports. European Space Agency. 4 March 2004. Retrieved 7 October 2016. ^ Baldwin, Emily (3 October 2016). "Rosetta impact site named Sais". European Space Agency. Retrieved 7 October 2016. ^ "Rosetta timeline: countdown to comet arrival". European Space Agency. 5 August 2014. Retrieved 6 August 2014. ^ a b Scuka, Daniel (10 September 2014). "Down, down we go to 29 km – or lower?". European Space Agency. Retrieved 13 September 2014. ^ "No. 2 — Activating Rosetta". European Space Agency. 8 March 2004. Retrieved 8 January 2014. ^ "We are working on flight control and science operations for Rosetta, now orbiting comet 67P, and Philae, which landed on the comet surface last week. Ask us Anything! AMA!". Reddit. 20 November 2014. Retrieved 21 November 2014. ^ Chang, Kenneth (5 August 2014). "Rosetta Spacecraft Set for Unprecedented Close Study of a Comet". The New York Times. Retrieved 5 August 2014. ^ a b Bibring, Jean-Pierre; Schwehm, Gerhard (25 February 2007). "Stunning view of Rosetta skimming past Mars". European Space Agency. Retrieved 21 January 2014. ^ Auster, H. U.; Richter, I.; Glassmeier, K. H.; Berghofer, G.; Carr, C. M.; Motschmann, U. (July 2010). "Magnetic field investigations during Rosetta's 2867 Šteins flyby". Planetary and Space Science. 58 (9): 1124–1128. Bibcode:2010P&SS...58.1124A. doi:10.1016/j.pss.2010.01.006. ^ a b Pätzold, M.; Andert, T. P.; Asmar, S. W.; Anderson, J. D.; Barriot, J.-P.; et al. (October 2011). "Asteroid 21 Lutetia: Low Mass, High Density". Science. 334 (6055): 491–492. Bibcode:2011Sci...334..491P. doi:10.1126/science.1209389. PMID 22034429. ^ a b c d e f g "Rosetta's Frequently Asked Questions". European Space Agency. Retrieved 24 May 2014. ^ a b c Beatty, Kelly (12 November 2014). "Philae Lands on Its Comet – Three Times!". Sky & Telescope. Retrieved 26 November 2014. ^ a b Beatty, Kelly (15 November 2014). "Philae Wins Race to Return Comet Findings". Sky & Telescope. Retrieved 2 November 2015. ^ a b Mignone, Claudia (26 July 2016). "Farewell, silent Philae". European Space Agency. Retrieved 29 July 2016. ^ a b Aron, Jacob (30 September 2016). "Rosetta lands on 67P in grand finale to two year comet mission". New Scientist. Retrieved 1 October 2016. ^ a b c Gannon, Megan (30 September 2016). "Goodbye, Rosetta! Spacecraft Crash-Lands on Comet in Epic Mission Finale". Space.com. Retrieved 1 October 2016. ^ a b c d Bauer, M. (6 August 2014). "Rosetta Arrives at Comet Destination". European Space Agency. Archived from the original on 6 August 2014. Retrieved 28 May 2017. ^ a b c d e Scuka, Daniel (7 May 2014). "Thruster burn kicks off crucial series of manoeuvres". European Space Agency. Retrieved 21 May 2014. ^ a b Lakdawalla, Emily (15 August 2014). "Finding my way around comet Churyumov-Gerasimenko". The Planetary Society. Archived from the original on 15 August 2014. Retrieved 15 August 2014. ^ Algar, Jim (14 October 2014). "Rosetta's lander Philae snaps selfie with comet". Tech Times. Retrieved 19 October 2014. ^ Agle, D. C.; Cook, Jia-Rui; Brown, Dwayne; Bauer, Markus (17 January 2014). "Rosetta: To Chase a Comet". NASA. Retrieved 18 January 2014. ^ "Rosetta at a glance". European Space Agency. Archived from the original on 14 May 2011. Retrieved 4 October 2010. ^ Bauer, Markus (3 September 2014). "RSGS: The Rosetta Science Ground Segment". European Space Agency. Retrieved 20 November 2014. ^ a b c Keller, Uwe; Schwehm, Gerhard (25 February 2007). "Beautiful new images from Rosetta's approach to Mars: OSIRIS Update". European Space Agency. ^ Glassmeier, Karl-Heinz; Boehnhardt, Hermann; Koschny, Detlef; Kührt, Ekkehard; Richter, Ingo (February 2007). "The Rosetta Mission: Flying Towards the Origin of the Solar System". Space Science Reviews. 128 (1–4): 1–21. Bibcode:2007SSRv..128....1G. doi:10.1007/s11214-006-9140-8. ^ a b c d Amos, Jonathan (4 October 2010). "Asteroid Lutetia has thick blanket of debris". BBC News. Retrieved 21 January 2014. ^ Jordans, Frank (20 January 2014). "Comet-chasing probe sends signal to Earth". Excite News. Associated Press. Archived from the original on 2 February 2014. Retrieved 20 January 2014. ^ Morin, Monte (20 January 2014). "Rise and shine Rosetta! Comet-hunting spacecraft gets wake-up call". Los Angeles Times. Science Now. Retrieved 21 January 2014. ^ "Rosetta: Comet Probe Beams Back Pictures". Sky News. 12 November 2014. Retrieved 12 November 2014. ^ Bauer, Markus (5 September 2016). "Philae found!". European Space Agency. Retrieved 5 September 2016. ^ Turk, Victoria (14 March 2016). "Happy Anniversary Giotto, the Probe That Flew By Halley's Comet 30 Years Ago". Vice. Motherboard. Retrieved 1 October 2016. ^ a b Altwegg, Kathrin; Huntress, Jr, Wesley T. (2001). "The constituents of cometary nuclei". In Bleeker, Johan A. M.; Geiss, Johannes; Huber, Martin C. E. (eds.). The Century of Space Science. Kluwer Academic. p. 1280. ISBN 978-0-7923-7196-0. ^ Neugebauer, M.; Draper, R. F. (1987). "The Comet Rendezvous Asteroid Flyby Mission". Advances in Space Research. 7 (12): 201–204. Bibcode:1987AdSpR...7..201N. doi:10.1016/0273-1177(87)90218-3. ^ Schwehm, G. H. (1989). "Rosetta - Comet Nucleus Sample Return". Advances in Space Research. 9 (6): 185–190. Bibcode:1989AdSpR...9..185S. doi:10.1016/0273-1177(89)90228-7. ^ a b Moltenbrey, Michael (2016). "Exploration of Small Solar System Bodies". Dawn of Small Worlds: Dwarf Planets, Asteroids, Comets. Astronomer's Universe. Springer. pp. 223–224. doi:10.1007/978-3-319-23003-0. ISBN 978-3-319-23002-3. ^ Sharp, Tim (15 January 2014). "Rosetta Spacecraft: To Catch a Comet". Space.com. Retrieved 25 January 2014. ^ "Unlocking the secrets of the universe: Rosetta lander named Philae". European Space Agency. 5 February 2004. Retrieved 25 January 2014. ^ "ESA's Rosetta Probe begins approach of comet 67P". Long Now. 6 June 2014. Retrieved 6 August 2014. ^ Kelly, Kevin (20 August 2008). "Very Long-Term Backup - The Rosetta Project". The Rosetta Project. Retrieved 2 January 2017. ^ "Europe's Comet Chaser-historic mission". European Space Agency. 16 January 2014. Retrieved 5 August 2014. ^ "Rosetta Factsheet". European Space Agency. 9 September 2016. Retrieved 1 October 2016. ^ "Europe's Rosetta probe goes into orbit around comet 67P". BBC News. 6 August 2014. Retrieved 6 August 2014. ^ "Rosetta: Fact Sheet". European Space Agency. Retrieved 19 July 2016. ^ a b c "Rosetta". National Space Science Data Center. NASA. Retrieved 3 November 2014. ^ a b "The Rosetta orbiter". European Space Agency. 16 January 2014. Retrieved 13 August 2014. ^ a b D'Accolti, G.; Beltrame, G.; Ferrando, E.; Brambilla, L.; Contini, R.; et al. (2002). The Solar Array Photovoltaic Assembly for the ROSETTA Orbiter and Lander Spacecraft's. 6th European Space Power Conference. 6–10 May 2002. Porto, Portugal. Bibcode:2002ESASP.502..445D. ^ Stage, Mie (19 January 2014). "Terma-elektronik vækker rumsonde fra årelang dvale". Ingeniøren. Retrieved 2 December 2014. ^ Jensen, Hans; Laursen, Johnny (2002). Power Conditioning Unit for Rosetta/Mars Express. 6th European Space Power Conference. 6–10 May 2002. Porto, Portugal. Bibcode:2002ESASP.502..249J. ^ Stramaccioni, D. (2004). The Rosetta Propulsion System. 4th International Spacecraft Propulsion Conference. 2–9 June 2004. Sardinia, Italy. Bibcode:2004ESASP.555E...3S. ^ "No bugs please, this is a clean planet!". European Space Agency. 30 July 2002. Retrieved 7 March 2007. ^ Gibney, Elizabeth (17 July 2014). "Duck-shaped comet could make Rosetta landing more difficult". Nature. doi:10.1038/nature.2014.15579. Retrieved 15 November 2014. ^ Harland, David M.; Lorenz, Ralph D. (2006). "The Current Crop". Space Systems Failures. Springer-Praxis. pp. 149–150. ISBN 978-0-387-21519-8. ^ "New destination for Rosetta, Europe's comet chaser". European Space Agency. 29 May 2003. Retrieved 7 October 2016. ^ Butler, Declan (22 May 2003). "Spiralling costs dog comet mission". Nature. 423 (6938): 372. Bibcode:2003Natur.423..372B. doi:10.1038/423372b. PMID 12761511. ^ "Svetlana Gerasimenko and Klim Churyumov in Kourou". Rosetta. European Space Agency. 20 October 2014. Retrieved 15 October 2016. ^ "Klim Churyumov - co-discoverer of comet 67P". Rosetta. European Space Agency. 20 October 2014. Retrieved 15 October 2016. ^ a b Montagnon, Elsa; Ferri, Paolo (July 2006). "Rosetta on its way to the outer Solar System". Acta Astronautica. 59 (1–5): 301–309. Bibcode:2006AcAau..59..301M. doi:10.1016/j.actaastro.2006.02.024. ^ "Rosetta Rendezvous Mission with Comet 67P/Churyumov-Gerasimenko". eoPortal. European Space Agency. Retrieved 1 October 2016. ^ "Rosetta correctly lined up for critical Mars swingby". European Space Agency. 15 February 2007. Retrieved 21 January 2014. ^ "Europe set for billion-euro gamble with comet-chasing probe". Phys.org. 23 February 2007. Archived from the original on 25 February 2007. ^ Keller, Horst Uwe; Sierks, Holger (15 November 2007). "First OSIRIS images from Rosetta Earth swing-by". Max Planck Institute for Solar System Research. Archived from the original on 7 March 2008. ^ Lakdawalla, Emily (2 November 2007). "Science plans for Rosetta's Earth flyby". The Planetary Society. Retrieved 21 January 2014. ^ "M.P.E.C. 2007-V69". Minor Planet Center. Archived from the original on 23 May 2012. Retrieved 6 October 2015. ^ Sutherland, Paul (10 November 2007). "'Deadly asteroid' is a spaceprobe". Skymania. Retrieved 21 January 2014. ^ Lakdawalla, Emily (9 November 2007). "That's no near-Earth object, it's a spaceship!". The Planetary Society. Retrieved 21 January 2014. ^ Tomatic, A. U. (9 November 2007). "MPEC 2007-V70: Editorial Notice". Minor Planet Electronic Circular. Minor Planet Center. Retrieved 21 January 2014. ^ "First Asteroid". Aviation Week & Space Technology. 169 (10): 18. 15 September 2008. ^ "Rosetta makes final home call". BBC News. 12 November 2009. Retrieved 22 May 2010. ^ a b Sierks, H.; Lamy, P.; Barbieri, C.; Koschny, D.; Rickman, H.; et al. (October 2011). "Images of Asteroid 21 Lutetia: A Remnant Planetesimal from the Early Solar System". Science. 334 (6055): 487–90. Bibcode:2011Sci...334..487S. doi:10.1126/science.1207325. hdl:1721.1/110553. PMID 22034428. ^ Amos, Jonathan (21 May 2014). "Rosetta comet-chaser initiates 'big burn'". BBC News. Retrieved 24 May 2014. ^ a b c McMahon, Paul; et al. (2017). Inorbit Maintenance of the Rosetta Reaction Wheels (RWAs) (PDF). European Space Mechanisms and Tribology Symposium. 20–22 September 2017. Hatfield, United Kingdom. ^ Clark, Stephen (29 January 2014). "ESA says Rosetta in good shape after 31-month snooze". Spaceflight Now. Retrieved 29 July 2014. ^ Scuka, Daniel (23 July 2014). "Last of the FATties". European Space Agency. Retrieved 31 July 2014. ^ Agle, D. C.; Brown, Dwayne; Bauer, Markus (25 August 2014). "Rosetta: Landing site search narrows". NASA. Retrieved 26 August 2014. ^ Amos, Jonathan (4 November 2014). "Rosetta comet mission: Landing site named 'Agilkia'". BBC News. Retrieved 5 November 2014. ^ Bauer, Markus (15 September 2014). "'J' Marks the Spot for Rosetta's Lander". European Space Agency. Retrieved 20 September 2014. ^ Knapton, Sarah (12 November 2014). "Rosetta mission: broken thrusters mean probe could bounce off comet into space". The Daily Telegraph. Retrieved 12 November 2014. ^ Withnall, Adam; Vincent, James (13 November 2014). "Philae lander 'bounced twice' on comet but is now stable, Rosetta mission scientists confirm". The Independent. Retrieved 26 November 2014. ^ "Rosetta camera captures Philae's descent to the comet". Spaceflight Now. 13 November 2014. Retrieved 26 November 2014. ^ Wall, Mike (30 July 2015). "Surprising Comet Discoveries by Rosetta's Philae Lander Unveiled". Space.com. Retrieved 31 July 2015. ^ Meierhenrich, Uwe (2008). Amino Acids and the Asymmetry of Life. Advances in Astrobiology and Biogeophysics. Springer-Verlag. doi:10.1007/978-3-540-76886-9. ISBN 978-3-540-76885-2. ^ a b c "Philae found!". European Space Agency. 5 September 2016. Retrieved 5 September 2016. ^ Bauer, Markus (12 February 2016). "Rosetta's Lander Faces Eternal Hibernation". European Space Agency. Retrieved 14 February 2016. ^ Mignone, Claudia (26 July 2016). "Farewell, silent Philae". European Space Agency. Retrieved 5 September 2016. ^ Mignone, Claudia (19 December 2014). "Behind the scenes of 'The Singing Comet'". European Space Agency. Retrieved 18 October 2017. ^ Fessenden, Marissa (12 November 2014). "Comet 67P Has a Welcome Song for Rosetta And Philae". Smart News. Smithsonian.com. Retrieved 26 December 2014. ^ Edwards, Tim (14 November 2014). "Music emitted from Comet 67P sounds an awful lot like 20th-century harpsichord masterpiece". Classic FM. Retrieved 26 December 2014. ^ a b Agle, D.C.; Bauer, Markus (10 December 2014). "Rosetta Instrument Reignites Debate on Earth's Oceans". NASA. Retrieved 10 December 2014. ^ a b Chang, Kenneth (10 December 2014). "Comet Data Clears Up Debate on Earth's Water". The New York Times. Retrieved 10 December 2014. ^ a b Morelle, Rebecca (10 December 2014). "Rosetta results: Comets 'did not bring water to Earth'". BBC News. Retrieved 11 December 2014. ^ Feldman, Paul D.; A'Hearn, Michael F.; Bertaux, Jean-Loup; Feaga, Lori M.; Parker, Joel Wm. ; et al. (2 June 2015). "Measurements of the near-nucleus coma of comet 67P/Churyumov-Gerasimenko with the Alice far-ultraviolet spectrograph on Rosetta". Astronomy and Astrophysics. 583. A8. arXiv:1506.01203. Bibcode:2015A&A...583A...8F. doi:10.1051/0004-6361/201525925. ^ Bauer, Markus (30 June 2016). "Rosetta finale set for 30 September". European Space Agency. Retrieved 7 October 2016. ^ a b Bauer, Markus (23 June 2015). "Rosetta mission extended". European Space Agency. Retrieved 11 July 2015. ^ a b c Clark, Stephen (30 September 2016). "Rosetta mission ends with comet touchdown". Spaceflight Now. Retrieved 7 October 2016. ^ a b "Mission complete: Rosetta's journey ends in daring descent to comet". European Space Agency. 30 September 2016. Retrieved 7 October 2016. ^ a b Cowen, Ron (30 September 2016). "Rosetta Spacecraft Death-Dives into Comet Companion—On Purpose". Eos. 97. doi:10.1029/2016EO060243. ^ a b c Gibney, Elizabeth (30 September 2016). "Mission accomplished: Rosetta crashes into comet". Nature. 538 (7623): 13–14. Bibcode:2016Natur.538...13G. doi:10.1038/nature.2016.20705. PMID 27708332. ^ "Screenshot of the last packet..." Twitter.com. ESA Operations. 30 September 2016. Retrieved 7 October 2016. Note: Times in the left column are Spacecraft Event Time, while the right column is Earth Received Time. All times are in UTC. ^ a b Sierks, Holger; Taylor, Matt; Bauer, Markus (28 September 2017). "Unexpected Surprise: A Final Image From Rosetta". European Space Agency. Retrieved 3 December 2017. ^ Dvorsky, George (28 September 2017). "Scientists Unexpectedly Find Rosetta's Final Image of Comet 67P/CG". Gizmodo. Retrieved 28 September 2017. ^ Stern, S. A.; Slater, D. C.; Scherrer, J.; Stone, J.; Versteeg, M.; et al. (February 2007). "Alice: The Rosetta Ultraviolet Imaging Spectrograph". Space Science Reviews. 128 (1–4): 507–527. arXiv:astro-ph/0603585. Bibcode:2007SSRv..128..507S. doi:10.1007/s11214-006-9035-8. ^ Stern, S. A.; Slater, D. C.; Gibson, W.; Scherrer, J.; A'Hearn, M.; et al. (1998). "Alice—An Ultraviolet Imaging Spectrometer for the Rosetta Orbiter". Advances in Space Research. 21 (11): 1517–1525. Bibcode:1998AdSpR..21.1517S. CiteSeerX 10.1.1.42.8623. doi:10.1016/S0273-1177(97)00944-7. ^ "Rosetta-Alice spectrograph to begin first-ever close up ultraviolet studies of comet surface and atmosphere". Southwest Research Institute. 10 June 2014. Retrieved 28 December 2016. ^ Thomas, N.; Keller, H. U.; Arijs, E.; Barbieri, C.; Grande, M.; et al. (1998). "Osiris—The optical, spectroscopic and infrared remote imaging system for the Rosetta Orbiter". Advances in Space Research. 21 (11): 1505–1515. Bibcode:1998AdSpR..21.1505T. doi:10.1016/S0273-1177(97)00943-5. ^ Coradini, A.; Capaccioni, F.; Capria, M. T.; Cerroni, P.; de Sanctis, M. C.; et al. (March 1996). VIRTIS Visible Infrared Thermal Imaging Spectrometer for Rosetta Mission. Lunar and Planetary Science. 27. p. 253. Bibcode:1996LPI....27..253C. doi:10.1109/igarss.1995.521822. ISBN 978-0-7803-2567-8. ^ "MIRO - Microwave Instrument for the Rosetta Orbiter". Max Planck Institute. Retrieved 28 December 2016. ^ Kofman, W.; Herique, A.; Goutail, J.-P.; Hagfors, T.; Williams, I. P.; et al. (February 2007). "The Comet Nucleus Sounding Experiment by Radiowave Transmission (CONSERT): A Short Description of the Instrument and of the Commissioning Stages". Space Science Reviews. 128 (1–4): 414–432. Bibcode:2007SSRv..128..413K. doi:10.1007/s11214-006-9034-9. ^ "RSI: Radio Science Investigation". European Space Agency. Retrieved 26 November 2014. ^ Balsiger, H.; Altwegg, K.; Arijs, E.; Bertaux, J.-L.; Berthelier, J.-J. ; et al. (1998). "Rosetta Orbiter Spectrometer for Ion and Neutral Analysis—ROSINA". Advances in Space Research. 21 (11): 1527–1535. Bibcode:1998AdSpR..21.1527B. doi:10.1016/S0273-1177(97)00945-9. ^ Riedler, W.; Torkar, K.; Rüdenauer, F.; Fehringer, M.; Schmidt, R.; et al. (1998). "The MIDAS experiment for the Rosetta mission". Advances in Space Research. 21 (11): 1547–1556. Bibcode:1998AdSpR..21.1547R. doi:10.1016/S0273-1177(97)00947-2. ^ Engrand, Cecile; Kissel, Jochen; Krueger, Franz R.; Martin, Philippe; Silén, Johan; et al. (April 2006). "Chemometric evaluation of time-of-flight secondary ion mass spectrometry data of minerals in the frame of future in situ analyses of cometary material by COSIMA onboard ROSETTA". Rapid Communications in Mass Spectrometry. 20 (8): 1361–1368. doi:10.1002/rcm.2448. PMID 16555371. ^ Colangeli, L.; Lopez-Moreno, J. J.; Palumbo, P.; Rodriguez, J.; Cosi, M.; et al. (February 2007). "The Grain Impact Analyser and Dust Accumulator (GIADA) experiment for the Rosetta mission: design, performances and first results". Space Science Reviews. 128 (1–4): 803–821. Bibcode:2007SSRv..128..803C. doi:10.1007/s11214-006-9038-5. ^ Della Corte, V.; Rotundi, A.; Accolla, M.; Sordini, R.; Palumbo, P.; et al. (March 2014). "GIADA: its status after the Rosetta cruise phase and on-ground activity in support of the encounter with comet 67P/Churyumov-Gerasimenko" (PDF). Journal of Astronomical Instrumentation. 3 (1): 1350011–110. Bibcode:2014JAI.....350011D. doi:10.1142/S2251171713500116. ^ Trotignon, J. G.; Boström, R.; Burch, J. L.; Glassmeier, K.-H.; Lundin, R.; et al. (January 1999). "The Rosetta plasma consortium: Technical realization and scientific aims". Advances in Space Research. 24 (9): 1149–1158. Bibcode:1999AdSpR..24.1149T. doi:10.1016/S0273-1177(99)80208-7. ^ Glassmeier, Karl-Heinz; Richter, Ingo; Diedrich, Andrea; Musmann, Günter; Auster, Uli; et al. (February 2007). "RPC-MAG The Fluxgate Magnetometer in the ROSETTA Plasma Consortium". Space Science Reviews. 128 (1–4): 649–670. Bibcode:2007SSRv..128..649G. doi:10.1007/s11214-006-9114-x. ^ Hoover, Rachel (21 February 2014). "Need to Track Organic Nano-Particles Across the Universe? NASA's Got an App for That". NASA. ^ Chang, Kenneth (18 August 2009). "From a Distant Comet, a Clue to Life". The New York Times. Space & Cosmos. p. A18. ^ Tate, Karl (17 January 2014). "How the Rosetta Spacecraft Will Land on a Comet". Space.com. Retrieved 9 August 2014. A previous sample-return mission to a different comet found particles of organic matter that are the building blocks of life. ^ a b Kremer, Ken (6 August 2014). "Rosetta Arrives at 'Scientific Disneyland' for Ambitious Study of Comet 67P/Churyumov-Gerasimenko after 10 Year Voyage". Universe Today. Retrieved 9 August 2014. ^ Baldwin, Emily (26 June 2015). "Rosetta and Philae: Searching for a good signal". European Space Agency. Retrieved 26 June 2015. ^ Thiemann, Wolfram H.-P.; Meierhenrich, Uwe (February 2001). "ESA Mission ROSETTA Will Probe for Chirality of Cometary Amino Acids". Origins of Life and Evolution of the Biosphere. 21 (1–2): 199–210. doi:10.1023/A:1006718920805. ^ Bergeron, Louis (17 October 2007). "William Bonner, professor emeritus of chemistry, dead at 87". Stanford Report. Retrieved 8 August 2014. ^ Martin, Patrick (April 2016). Rosetta Mission Status: Toward the End of Comet Phase Operations (PDF). EGU General Assembly 2016. 17–22 April 2016. Vienna Austria. Bibcode:2016EGUGA..1817068M. EGU2016-17068. ^ Capaccioni, F.; Coradini, A.; Filacchione, G.; Erard, S.; Arnold, G.; et al. (23 January 2015). "The organic-rich surface of comet 67P/Churyumov-Gerasimenko as seen by VIRTIS/Rosetta". Science. 347 (6220): aaa0628. Bibcode:2015Sci...347a0628C. doi:10.1126/science.aaa0628. PMID 25613895. ^ Quirico, E.; Moroz, L. V.; Beck, P.; Schmitt, B.; Arnold, G.; et al. (March 2015). Composition of Comet 67P/Churymov-Gerasimenko Refractory Crust as Inferred from VIRTIS-M/Rosetta Spectro-Imager (PDF). 46th Lunar and Planetary Science Conference. 16–20 March 2015. The Woodlands, Texas. Bibcode:2015LPI....46.2092Q. LPI Contribution No. 1832, p. 2092. ^ Quirico, E.; Moroz, L. V.; Schmitt, B.; Arnold, G.; Faure, M.; et al. (July 2016). "Refractory and semi-volatile organics at the surface of comet 67P/Churyumov-Gerasimenko: Insights from the VIRTIS/Rosetta imaging spectrometer". Icarus. 272: 32–47. Bibcode:2016Icar..272...32Q. doi:10.1016/j.icarus.2016.02.028. ^ Fray, Nicolas; Bardyn, Anaïs; Cottin, Hervé; et al. (6 October 2016). "High-molecular-weight organic matter in the particles of comet 67P/Churyumov–Gerasimenko". Nature. 538 (7623): 72–74. Bibcode:2016Natur.538...72F. doi:10.1038/nature19320. PMID 27602514. ^ Quirico, E.; Moroz, L. V.; Schmitt, B.; et al. (1 July 2016). "Refractory and semi-volatile organics at the surface of comet 67P/Churyumov-Gerasimenko: Insights from the VIRTIS/Rosetta imaging spectrometer". Icarus. 272: 32–47. Bibcode:2016Icar..272...32Q. doi:10.1016/j.icarus.2016.02.028. ^ Rincon, Paul (18 November 2014). "Comet landing: Organic molecules detected by Philae". BBC News. Retrieved 6 April 2015. ^ Grey, Richard (19 November 2014). "Rosetta mission lander detects organic molecules on surface of comet". The Guardian. Retrieved 6 April 2015. ^ Jordans, Frank (30 July 2015). "Philae probe gets a 'sniff' of acetone, indicating comets can concoct complex compounds". U.S. News & World Report. Associated Press. Retrieved 5 October 2016. ^ Bibring, J.-P.; Taylor, M.G.G.T. ; Alexander, C.; Auster, U.; Biele, J.; Finzi, A. Ercoli; Goesmann, F.; Klingehoefer, G.; Kofman, W.; Mottola, S.; Seidenstiker, K.J. ; Spohn, T.; Wright, I. (31 July 2015). "Philae's First Days on the Comet - Introduction to Special Issue". Science. 349 (6247): 493. Bibcode:2015Sci...349..493B. doi:10.1126/science.aac5116. PMID 26228139. ^ a b Altwegg, Kathrin; Balsiger, Hans; et al. (27 May 2016). "Prebiotic chemicals—amino acid and phosphorus—in the coma of comet 67P/Churyumov-Gerasimenko". Science Advances. 2 (5): e1600285. Bibcode:2016SciA....2E0285A. doi:10.1126/sciadv.1600285. PMC 4928965. PMID 27386550. ^ Bieler, A.; et al. (29 October 2015). "Abundant molecular oxygen in the coma of comet 67P/Churyumov–Gerasimenko". Nature. 526 (7575): 678–681. Bibcode:2015Natur.526..678B. doi:10.1038/nature15707. PMID 26511578. ^ Schwehm, Gerhard (4 July 2005). "Rosetta camera view of Tempel 1 brightness". European Space Agency. Retrieved 21 January 2014. ^ Schwehm, Gerhard (25 February 2007). "Rosetta successfully swings-by Mars – next target: Earth". European Space Agency. Retrieved 21 January 2014. ^ Schwehm, Gerhard; Accomazzo, Andrea; Schulz, Rita (13 November 2007). "Rosetta swing-by a success". European Space Agency. Retrieved 7 August 2014. ^ "Encounter of a different kind: Rosetta observes asteroid at close quarters". European Space Agency. 6 September 2008. Retrieved 29 May 2009. ^ "Last visit home for ESA's comet chaser". European Space Agency. 20 October 2009. Retrieved 8 November 2009. ^ "Rosetta bound for outer Solar System after final Earth swingby". European Space Agency. 13 November 2009. Retrieved 7 August 2014. ^ Snodgrass, Colin; Tubiana, Cecilia; Vincent, Jean-Baptiste; Sierks, Holger; Hviid, Stubbe; et al. (October 2010). "A collision in 2009 as the origin of the debris trail of asteroid P/2010 A2". Nature. 467 (7317): 814–816. arXiv:1010.2883. Bibcode:2010Natur.467..814S. doi:10.1038/nature09453. PMID 20944742. ^ Chow, Denise (10 July 2010). "Mysterious Asteroid Unmasked By Space Probe Flyby". Space.com. Retrieved 10 July 2010. ^ Scuka, Daniel (20 May 2014). "The Big Burns – Part 1". European Space Agency. Retrieved 21 May 2014. ^ ESA Operations (6 August 2014). "Thruster burn complete". Twitter.com. Retrieved 6 August 2014. ^ Scuka, Daniel (3 June 2014). "The Big Burns – Part 2". European Space Agency. Retrieved 9 June 2014. ^ Rkaina, Sam (6 August 2014). "Rosetta probe: Recap updates after spacecraft successfully reached deep space comet orbit". Daily Mirror. Retrieved 6 August 2014. ^ Amos, Jonathan (14 August 2014). "Rosetta: Comet probe gets down to work". BBC News. Retrieved 15 August 2014. ^ Brown, Dwayne; Agle, A. G.; Martinez, Maria; Bauer, Markus (4 September 2014). "NASA Instrument aboard European Spacecraft Returns First Science Results". NASA. Release 14-238. Retrieved 5 September 2014. ^ "PIA19867: Rosetta Comet In Action (Animation)". NASA. 11 August 2015. Retrieved 11 August 2015. ^ Bieler, A.; Altwegg, K.; Balsiger, H.; Bar-Nun, A.; Berthelier, J.-J. ; et al. (29 October 2015). "Abundant molecular oxygen in the coma of comet 67P/Churyumov–Gerasimenko". Nature. 526 (7575): 678–681. Bibcode:2015Natur.526..678B. doi:10.1038/nature15707. PMID 26511578. ^ "Comet gives clues to Earth's beginning". Radio New Zealand. 28 October 2015. Retrieved 29 October 2015. ^ Amos, Jonathan (5 September 2016). "Philae: Lost comet lander is found". BBC News. Retrieved 5 September 2016. ^ Chang, Kenneth (26 September 2016). "For Rosetta, a Landing and an Ending on a Comet". The New York Times. Retrieved 26 September 2016. ^ Gibney, Elizabeth (4 November 2015). "Historic Rosetta mission to end with crash into comet". Nature. 527. pp. 16–17. Bibcode:2015Natur.527...16G. doi:10.1038/527016a. Retrieved 5 November 2015. ^ Amos, Jonathan (30 June 2016). "Rosetta comet probe given termination date". BBC News. Retrieved 2 July 2016. ^ a b c Marcu, Sebastian D.; Laird, Ryan J. M. (March 2016). "Captivating hearts and minds". Room, The Space Journal. Aerospace International Research Center. Retrieved 28 December 2016. ^ Moore, Trent (27 December 2016). "The ESA turned the Rosetta and Philae mission into an adorable cartoon". Syfy Wire. Syfy. Archived from the original on 28 December 2016. Retrieved 28 December 2016. ^ a b Le Roux, Mariëtte (3 February 2016). "Philae comet probe: World prepares for final farewell". Phys.org. Omicron Technology. Archived from the original on 28 December 2016. Retrieved 28 December 2016. ^ Bergin, Chris (27 July 2016). "Rosetta and Philae officially say goodbye as mission draws to conclusion". NASASpaceFlight.com. Archived from the original on 28 December 2016. Retrieved 28 December 2016. ^ Kramer, Miriam (1 October 2016). "This adorable video about the Rosetta comet mission will make you cry". Mashable. Archived from the original on 28 December 2016. Retrieved 28 December 2016. ^ a b c Petty, Chris (24 October 2016). "Rosetta and Philae: it's all about the feels!". The Space Review. SpaceNews (Pocket Ventures, LLC.). Archived from the original on 28 December 2016. Retrieved 28 December 2016. ^ a b c Amos, Jonathan (24 October 2014). "Sci-fi short promotes Rosetta comet mission". BBC News. British Broadcasting Corporation. Archived from the original on 28 December 2016. Retrieved 28 December 2016. ^ Chang, Kenneth (30 September 2016). "Rosetta Mission Ends With Spacecraft's Dive Into Comet". The New York Times. The New York Times Company. Retrieved 28 December 2016. ^ a b Reyes, Tim (23 December 2016). "Why Watch ESA Rosetta's Movie 'Ambition'? Because We Want to Know What is Possible". Universe Today. Archived from the original on 28 December 2016. Retrieved 28 December 2016. ^ Cofield, Calla (14 June 2015). "Aiden Gillen, Littlefinger on 'Game of Thrones,' Stars in Comet Video". Space.com. Purch Group. Archived from the original on 28 December 2016. Retrieved 28 December 2016. ^ Clark, Stephen (11 November 2014). "Rosetta mission's 'ambition' spotlighted in film". Spaceflight Now. Spaceflight Now, Inc. Archived from the original on 28 December 2016. Retrieved 28 December 2016. ^ Burks, Robin (24 October 2014). "Sci-fi short film 'Ambition' highlights ESA's Rosetta mission". Tech Times. Archived from the original on 28 December 2016. Retrieved 28 December 2016. ^ Wallace, Ryan (24 October 2016). "ESA Shows Ambition of Rosetta Mission—Sci Fi Film Reveals Importance of Mission". The Science Times. IBT Media. Archived from the original on 28 December 2016. Retrieved 28 December 2016. ^ "Live updates: Rosetta mission comet landing". 12 November 2014. ^ "Call for Media Opportunities to Follow Rosetta Mission's Historic Comet Landing". European Space Agency. 16 October 2014. ^ Welsh, April Clare (29 July 2016). "Vangelis to release Rosetta album inspired by comet landing mission". Fact. Retrieved 18 August 2016. ^ Sheahan, Maria; Bryan, Victoria (22 September 2016). "Europe's Rosetta spacecraft to end epic trek with comet crash landing". Reuters. Retrieved 6 November 2016. ^ Rosetta Grand Finale. Livestream. 30 September 2016. Event occurs at 01:02:19-01:13:35. Retrieved 6 November 2016. Wikimedia Commons has media related to Rosetta (spacecraft).